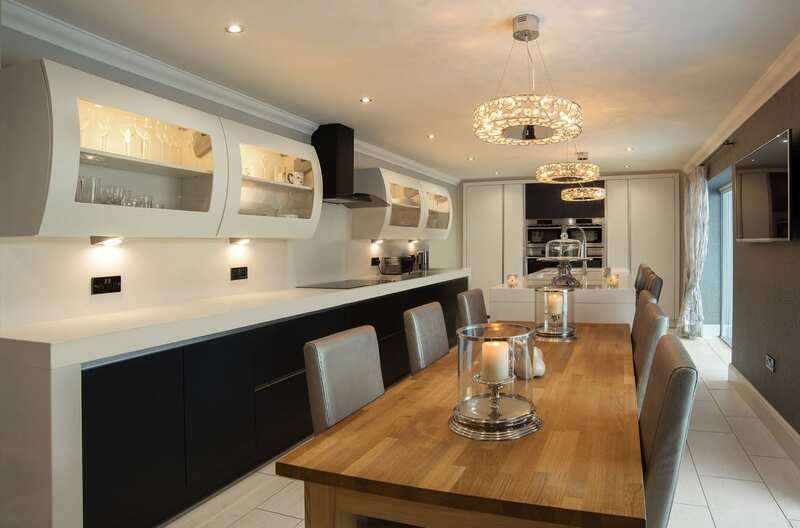 An excellent way to create a statement to your kitchen is by using thicker quartz worktops. 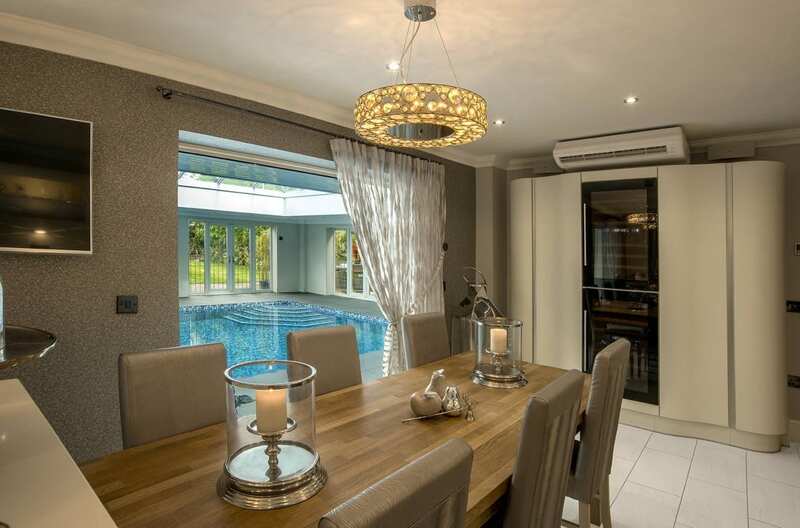 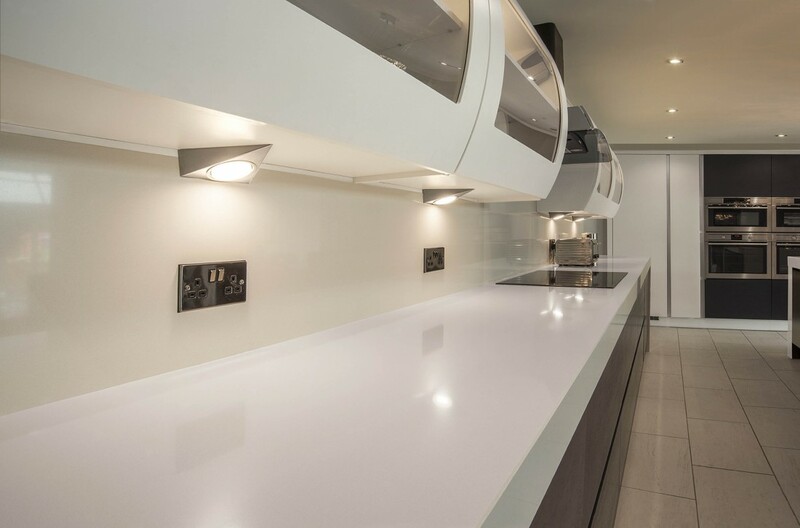 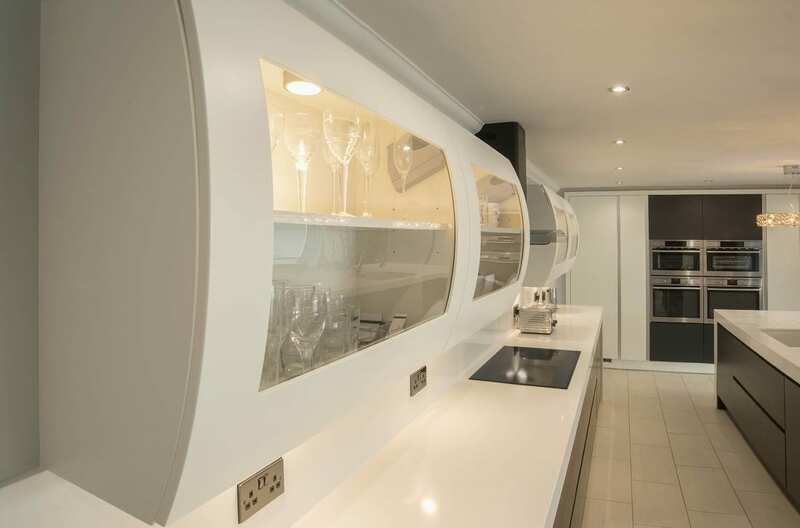 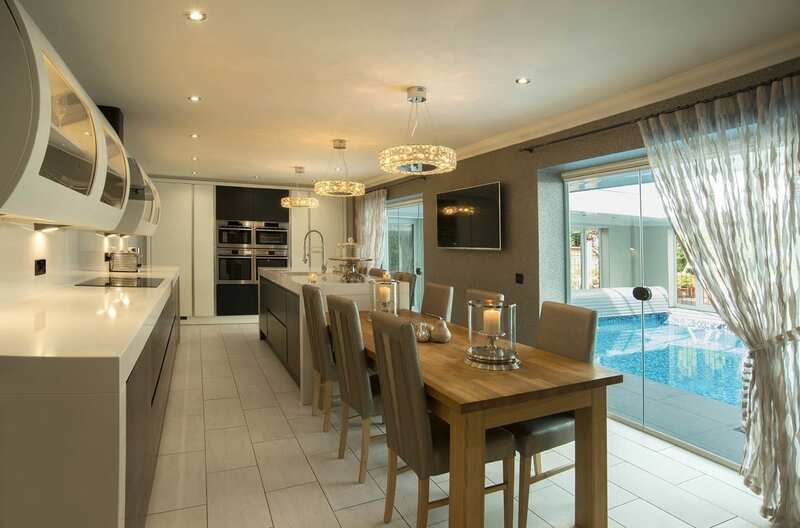 The curved glass wall units are also a very bold choice but due to the symmetry and the bank of tall units being fitted flush to the back wall this kitchen can accommodate these types of statement especially with the colours being solid and not overpowering. 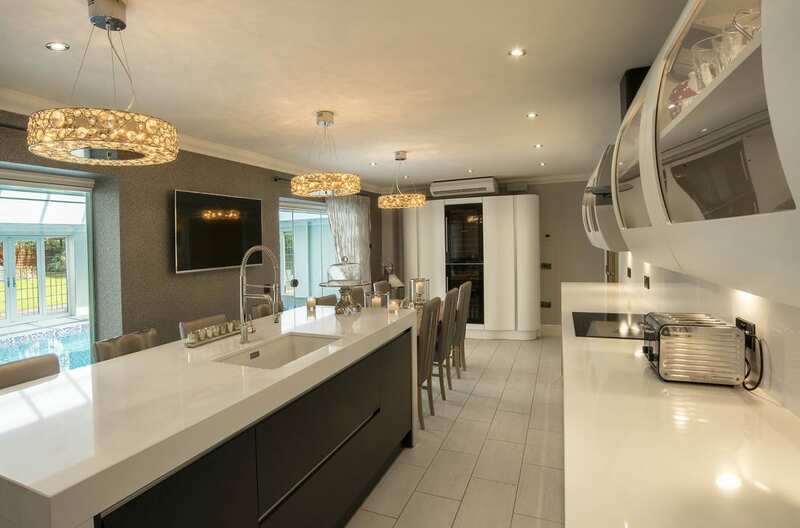 The lowered solid wood seating area added to the island is an excellent alternative to a full height breakfast bar as not everyone likes the high perches of breakfast bar stools.